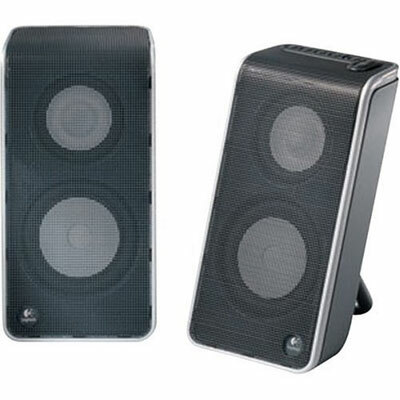 Logitech Speaker V20 2.0. 2Watts RMS, for notebooks Black - USB. MERCANCIAS EN REMATE. SIN CAMBIOS NI DEVOLUCIONES, 3way Technology, Ltd.
With full, balanced audio and a compact design, these speakers are a sound traveling companion.